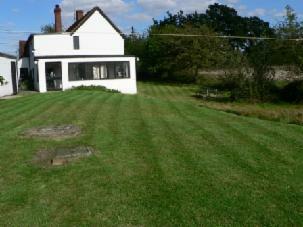 Mow My Lawn offer a sensational garden maintenance service that is affordable to everyone. Gardening doesn't have to be a chore if you use our lawn mowing services. It will free up your time to relax and enjoy your garden. Mow My lawn is a local company registered and certified as a service supplier to Chelmsford Borough Council. We use highly respected lawn mowing machinery with names like Honda and Hayter included. We are not a franchise so we don't have to pay upto 20% of our turnover to someone else which is why we can offer such low prices. 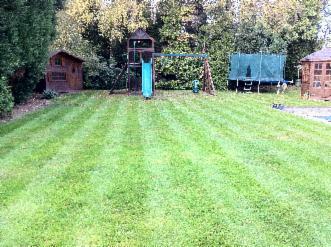 Our service and attention to detail will leave your lawn looking great and make you the envy of your neighbours. We don't ask you sign any contracts just simply book an appointment for us to come and cut your grass and with over 150 customers many of whom have switched from our more expensive rivals why not give us a try and see for yourself. Mow my lawn is a local gardening maintenance company based in Chelmsford. We provide a grass cutting and garden help service for the whole of Chelmsford, Brentwood and surrounding villages. If you are not sure if we cover you area please feel free to ask. Our staff safety and well being are of paramount concern to us. Everyone who works at mow my lawn are trained to use our machinery safely but more importantly we are professional people who will respect you and your property at all times!